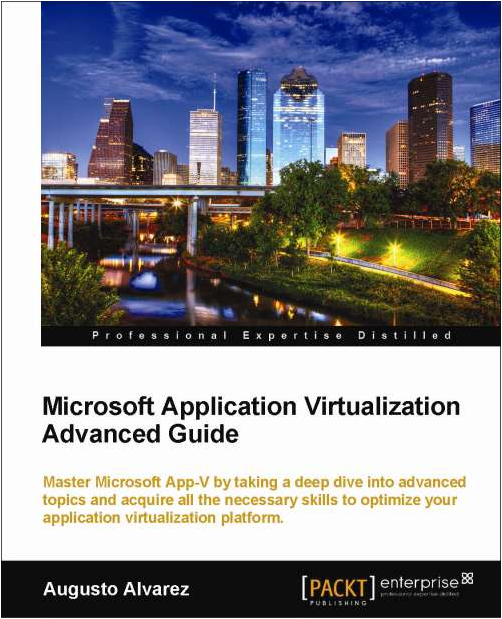 Finally my second App-V book “Microsoft Application Virtualization Advanced Guide” has just been published and there’s one sample chapter available for download. The sample chapter selected is “Integrating App-V with System Center Configuration Manager (SCCM) 2012” and can be downloaded from this link. Perform sequencing in complex environments including scenarios where App-V is normally not supported. Deploy applications in complex scenarios, including the use of Providers Policies to enforce licensing and other company’s policies. Get hands on in how to implement the scripting process within App-V applications and also review how to use App-V command lines. Troubleshoot App-V, covering the installation process of this platform, but also normal sequencing issues and deployment problems delivering applications. Scale-up App-V implementations by using failover and load balanced scenarios. Review App-V integration with VDI (Virtual Desktop Infrastructure) and Remote Desktop Services (RDS). Integrate App-V with System Center Configuration Manager (SCCM) 2012. Understand the new approach appearing in SCVMM 2012 with Server App-V to virtualize servers’ applications. Examine 3rd party tools available in App-V to complement your implementation. 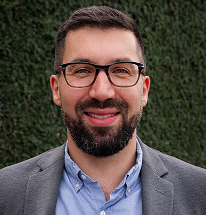 Taking a Deep Dive into App-V. Deploying Applications in Complex Environments. Handling Scripting and App-V Command Lines. 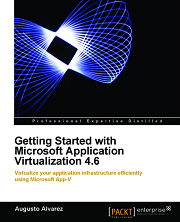 Integrating App-V with Virtual Desktop Infrastructure (VDI). Integrating App-V with System Center Configuration Manager (SCCM) 2012. Integrating Server App-V with Private Clouds. 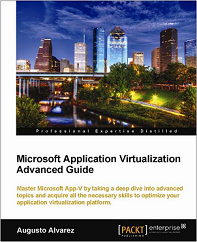 Appendix A: Reviewing App-V Microsoft and 3rd Party Tools.